Home > News, Walkthrough	> How to hunt the Goldleaf Mouse? How to hunt the Goldleaf Mouse? From looking at what it’s holding you might able to guess where this little rare mouse is going to be wondering around. Yes it appears to be hunting for cheese in Great Gnarled Tree. From reports so far it will “NOT” require SB+ to attract it, however SB+ will be way more effective. So if you don’t have the spare SB+, Brie will be good enough to attract it. 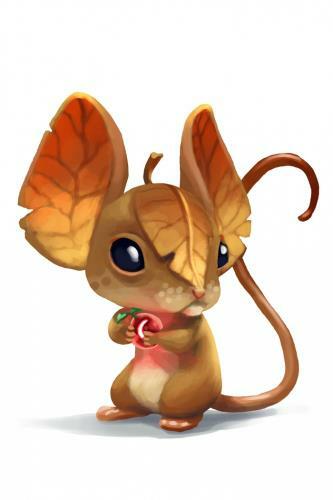 Anyway good luck hunting this Goldleaf mouse! Go to Great Gnarled Tree, use your best tactical trap and DJB with runny cheese. 1st hunt and I got the mouse.